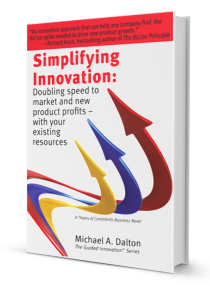 Mike Dalton’s innovation improvement framework was sharpened over 24 years of product development, marketing and executive leadership at the multi-billion dollar SC Johnson family of companies. 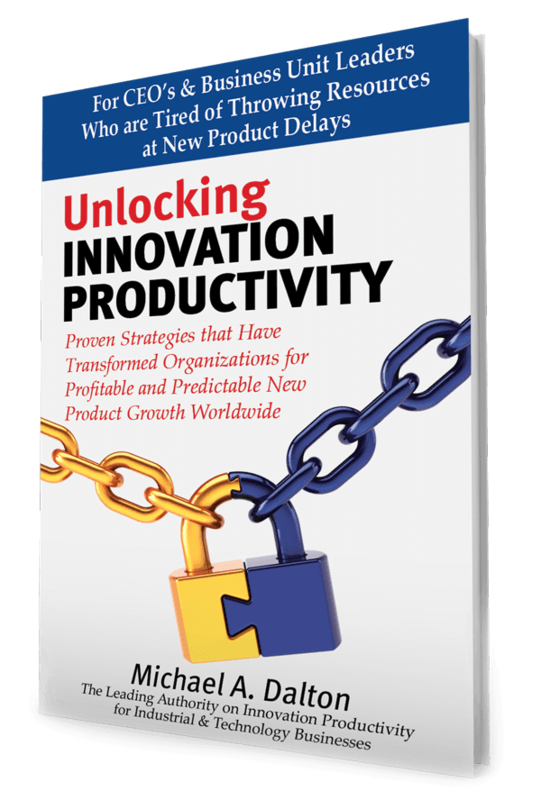 Mike is also the founder of Guided Innovation Group, whose simple mission is helping companies turn their new product innovation into bottom-line impact. He has grown new and existing businesses as a general manager and in marketing, business development, and manufacturing leadership roles. 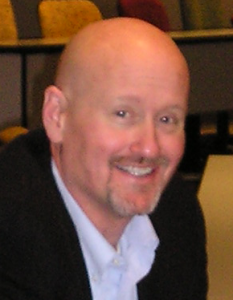 He holds an MBA in marketing and finance from the University of Chicago and a degree in chemical engineering and energy technology from the Illinois Institute of Technology. He speaks on innovation and growth for trade and executive groups and has spoken on Open Innovation for the National Academy of Sciences. He lives in Mt. Pleasant, Wisconsin with his wife, Carol, and their rescue pitbull terrier. Guided Innovation’s unique TOC-based approach to rapid innovation improvement is helping companies slash time to market in half and nearly double new product profits.Whether you are struggling to get more sales impact from your new product and innovation investment or are growing strongly but still interested in taking your innovation performance to the next level, we welcome your call. 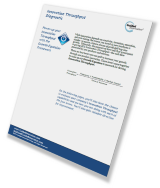 Maximize the return on your R&D investment with the Guided Innovation System.